The iconic show saw an increase in attendance of more than 6.7 percent from the previous year. The show earned praise from exhibitors of boats at all price-points. Large crowds packed the show’s floating cocktail lounges daily for live music and refreshments. The scenic West Palm Beach waterfront was bustling with shoppers who came to see more than 1,000 spectacular boats and yachts of all sizes on display at the 34th annual Palm Beach International Boat Show from March 28 through March 31. 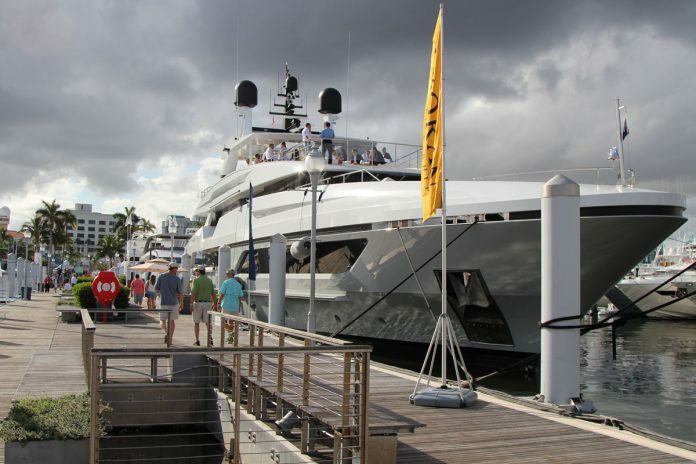 The iconic show, which featured more than $1.4 billion in boats and accessories, saw an increase in attendance of more than 6.7 percent from the previous year. Many companies look to the Palm Beach show as an ideal platform for introducing new brands to qualified audiences. This year’s show had 50 percent more ultra-luxury superyacht brands than in previous years, including vessels by Baglietto, Amels and Feadship. 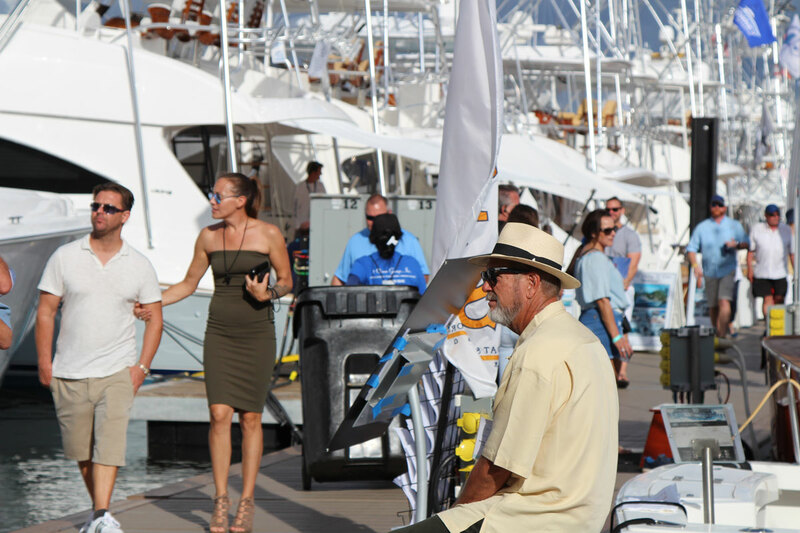 In addition to the large selection of boats and exhibits, the show offered fun and educational activities, including an all-new AquaZone, free youth fishing clinics by Hook the Future and IGFA School of Sportfishing seminars. Large crowds packed the show’s floating cocktail lounges daily for live music and refreshments. Through a charitable campaign in collaboration with Bennett Auto Supply, Informa Exhibitions and the Marine Industries Association of Palm Beach County raised more than $22,000 for local charities. Fans who purchased a $28 boat show ticket during the month of March at any local Bennett Auto Supply received a second ticket free, with proceeds donated equally to Loggerhead Marine Center and Sheridan House.